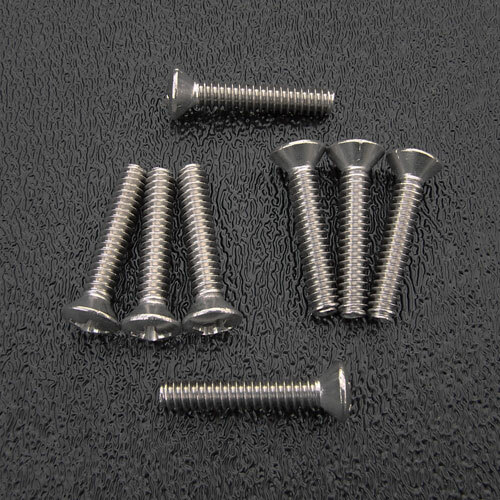 Set of 8 stainless steel pickup mounting and switch mounting screws for Fender® Strat® and Tele®. Vintage style. Use: For pickguards that HAVE countersunk pickup and 5-way switch mounting holes.